I visited Tottori sand dunes for the first time in my spare moments from my business trip. With a help of the sunny weather, it was far better than I have expected. 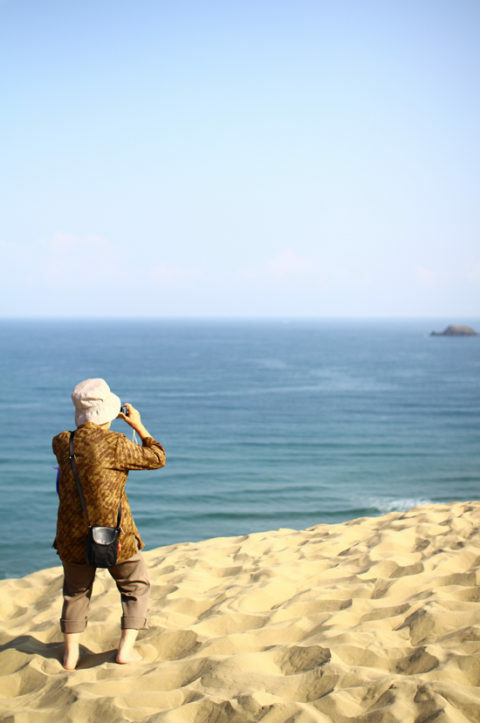 Photo: The sea of Japan with a lady in Tottori sand dunes.